Im off to Peru, and will be back with the next show in about 6 weeks. Hold this one. 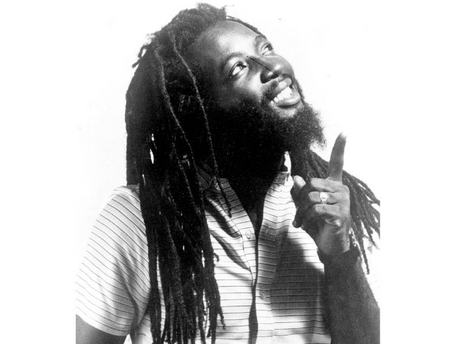 A couple classics from Freddie McGregor get us started in a upful way this week. The classic singers vibe continues with treasures from Pat Kelly, Barry Brown, and Horace Andy. New music this week comes from Konshens, Singer Jah, Jah Cure, Richie Spice, and Anthony B with Gyptian among others. With Jah by our side, anything is possible. One. This entry was posted on April 1, 2011 at 12:32 pm and is filed under Downloads, Podcasts, Radio Shows with tags Freddie McGregor, One Love, Peru, Peru Reggae, Peru Reggae Radio, Rasta, Rasta Radio, Rastafari, Rastafari Radio, Reggae Podcast, Reggae Radio, reggae radio vermont, Reggae Vermont. You can follow any responses to this entry through the RSS 2.0 feed. You can leave a response, or trackback from your own site. Anyone knows who sings “mysound” just before richei spice? Irie. Big up to the massive. Yes, Iyaah. “My Sound” by Skarra Muccci – check the playlist.